This garlicky mayo will make any sandwich better. Chipotles in adobo give this mayo fantastic smokiness, fresh lime juice keeps it bright. This simple, tangy mayonnaise from star chef Danny Bowien is also great on almost any burger, as well as on grilled chicken and fish. For more punch, try adding a quarter cup of finely grated fresh horseradish and up to a half tablespoon of Sriracha chile-garlic sauce to this delicious mayo. This easy recipe for the classic sauce includes chopped gherkins and Creole mustard. 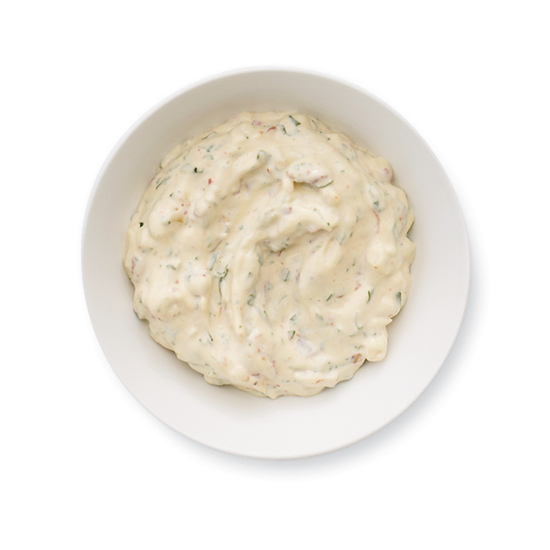 Anthony Bourdain calls this super-garlicky mayonnaise “the magical condiment.” The perfect balance of garlic, lemon and saffron is what makes it so good.